Word Cheese Answers. 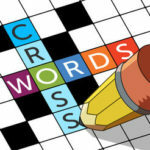 It is a classical word game which offers lots of fun and benefits while improving your vocabulary skills. Basically all you need to do is swipe to connect letters and fill up the blanks on the board. But each level is a new challenge for your brain and your skills. While you play you have to guess words, put your brain in work, to think by using the letters and discover possible clues. If you are a good player you will know how to use wisely the helping tools such as “hints” to reveal letters or “shuffle” to rearrange the given letters. Make the best out of this funny and challenging game, relax and get better at the same time!